For problematic, impure skin the right care is very important. The secret to a clear complexion is treating the whole face to prevent breakouts before they get started. 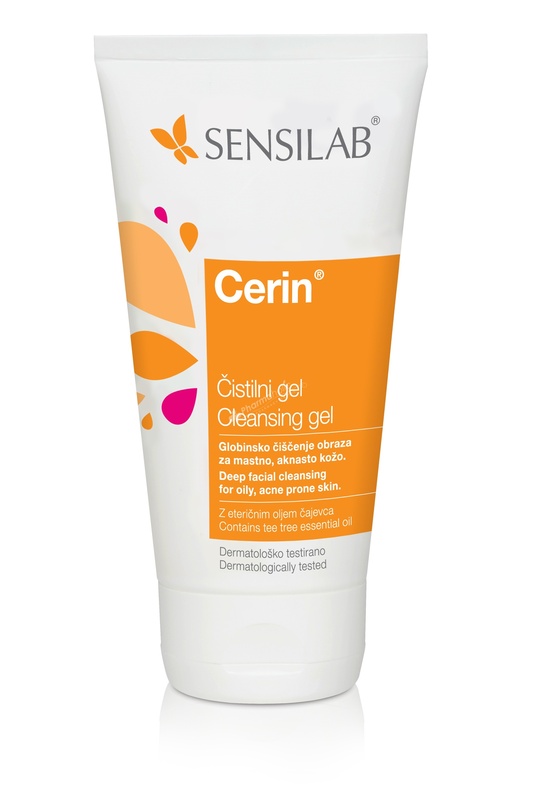 Cerin Cleansing gel combines a mild solution to unclog pores and kill bacteria, soothe inflammation and clean the skin. It minimizes the pores with a gentle antiseptic effect and restores the balance of oil and moisture in the skin, without drying it out. It is also suitable for the cleaning of skin on the back, shoulders and decolletage. Use: Apply morning and evening to damp face, gently massage into skin and rinse thoroughly with water. Also suitable for back, shoulders and chest. Aqua, Coco Glucoside, Sodium Laureth Sulfate, Sodium Laureth-8 Sulfate, Magnesium Laureth Sulfate, Magnesium Laureth-8 Sulfate, Sodium Oleth Sulfate, Magnesium Oleth Sulfate, Xanthan Gum, PEG-7 Glyceryl Cocoate, Glyceryl Oleate, Propylene Glycol, PEG-40 Hydrogenated Castor Oil, Diazolidinyl Urea, Parfum, Methylparaben, Melaleuca Alternifolia Leaf Oil, Citric Acid, Propylparaben, Alpha-Isomethyl Ionone, Benzyl Salicylate, Limonene.